A pilot trial starting today and lasting for a year will allow staff working across the NHS in England, Scotland, Wales and Northern Ireland free trial access to some of the most respected medical and scientific journals. Information about about the launch of the pilot has been released by JISC and by NICE. The publishers who have agreed to take part include: AAAS, Annual Reviews, Elsevier, IOP Publishing, Nature Publishing Group, Oxford University Press, Royal Society of Chemistry and Springer. These pilot resources can be accessed via NICE Evidence Search, using an NHS Open Athens password. GENERATE Survey: An opportunity to have your say in what you think is important for future research for ENT, Hearing and Balance care in the UK. ENT UK, the professional body of ENT surgeons, is working with the British Academy of Audiology and the British Society of Audiology on the GENERATE Project. GENERATE will raise awareness of the importance of continuing research in ENT, hearing and balance conditions, and develop a joint national programme for research. The GENERATE team will work closely with patients and their carers, healthcare professionals, researchers, charities and people who design and deliver healthcare services to decide on the most important areas for research in ENT, Hearing and Balance care. GENERATE covers all areas and subspecialties of ENT. The GENERATE team is interested in the views of people who have experienced or have an interest in these issues as well as professionals who work in this field. Finding out the questions that people want answered by research through surveys, focus groups and interviews is at the heart of GENERATE. These ideas will be brought together and shared with our partners in order to prioritise, develop and find funding for the top projects. The GENERATE survey will be open until 30 June, 2014. It takes about 10 minutes to complete. The results of GENERATE will be available through ENT UK at the end of the project. Researchers from the Royal Association for Deaf People, the University of Manchester, City University (London) and UCL – including our own Professor Bencie Woll in the Deafness, Cognition and Language Research Centre – have conducted a research project on deaf BSL (British Sign Language) users living with dementia: their understanding of it, their ease of access to appropriate services and the impact of dementia on the deaf community. Following the government’s policy document, Living Well With Dementia: A National Dementia Strategy – which lays out recommendations for early diagnosis and greater access to relevant information, but doesn’t make clear how it will apply to deaf people – this project was set up by a team of researchers and funded by the Alzheimer’s Society. You have probably noticed that dementia has been in the news a lot lately. Furthermore, connections between deafness and dementia have been indicated: for example, this recent news story, regarding recent research which suggests that deafness may in fact contribute to dementia. Then there’s the difficulty of diagnosis among deaf people due to various factors, from problems with communication when attempting initially to consult doctors or hospital staff (about any health matters), to the unsuitability for sign language users of the tests currently used to identify cognitive disorders. The research done for the Deaf People With Dementia project is vital to all of us; according to the WHO, the leading cause of hearing loss in adults is age-related (presbycusis). Worldwide, this is believed to affect from one third to half of people over the age of 65 and more than half of those over 75; and this is expected to rise significantly during the next 20–30 years, especially in places like Europe and the U.S. where increasing life expectancy means an ageing population (WHO, 2011 – see link above). With dementia believed to affect about 800,000 people in the UK – as well as, according to issue 733 of Bulletin (the official magazine of the Royal College of Speech and Language Therapists, to which the library has a subscription if you’d like to come in and have a look) an estimated 25 million people knowing a close friend or family member with dementia – it seems highly likely that almost everyone will be affected at some point, either directly or indirectly. Interested in finding out more? You could try searching PubMed using terms such as deaf or deafness, hearing loss, presbycusis, dementia and so on. If you’re a UCL student or staff member, it’s best to go via the electronic library web-page; or if you’re not, visit us here in the library where you’ll have greater access to articles using on-campus computers. Of course, here in the library we’ll be happy to help you look for further information, too – just drop by during our opening hours or give us a call. Action on Hearing Loss has produced a new report, A World of Silence, on the challenges and problems facing older people in care home settings. Care home residents are disproportionately affected by hearing loss. We estimate that around three-quarters of older people who live in these settings have a hearing loss and, as the number of people in care homes increases, more and more residents will be affected by hearing loss. Öberg M, Marcusson J, Nägga K, Wressle E.
Hearing difficulties, uptake, and outcomes of hearing aids in people 85 years of age. Int J Audiol. 2012 Feb;51(2):108-15. Epub 2011 Nov 22. Bedside balance testing in elderly people. Curr Aging Sci. 2009 Jul;2(2):150-7. Review. Ont Health Technol Assess Ser. 2008;8(5):1-49. Epub 2008 Oct 1. Tay T, Wang JJ, Lindley R, Chia EM, Landau P, Ingham N, Kifley A, Mitchell P.
Sensory impairment, use of community support services, and quality of life in aged care clients. J Aging Health. 2007 Apr;19(2):229-41. Cook G, Brown-Wilson C, Forte D.
The impact of sensory impairment on social interaction between residents in care homes. Int J Older People Nurs. 2006 Dec;1(4):216-24. Murphy J, Tester S, Hubbard G, Downs M, MacDonald C.
Enabling frail older people with a communication difficulty to express their views: the use of Talking Mats as an interview tool. Health Soc Care Community. 2005 Mar;13(2):95-107. The British Society of Audiology are launching a new series of on-line presentations. Called ‘Lunch & Learn‘, the eSeminars will be available free of charge and are provided in collaboration with Phonak iLearn. The link will be provided on Monday 1st October on the BSA and Phonak websites. The Topic of the first seminar is: ‘Snake oil science: using ‘mild deception’ to demonstrate the influence of placebo and patient expectation on hearing aid benefit’. The Seminar will be presented by Prof. Kevin J Munro of the The University of Manchester. Placebo effects— clinical responses associated with the expectations surrounding treatments rather than with any intrinsic property of the treatment—are wide-ranging and are recognized in medical research and clinical practice. Because of their importance, we examined placebo effects in a hearing aid trial using benefit measures typical of those used in clinical trials: speech in noise tests, sound quality ratings and overall personal preference. Our approach was to compare two hearing aids that were acoustically identical. However, we used mild deception and informed the participants that they were comparing a conventional hearing aid with a new hearing aid. On all of our measures, greater benefit was obtained with the ‘new’ hearing aid. Given the potential far reaching impact of these findings, we decided to repeat the study. Once again, greater benefit was obtained with the ‘new’ hearing aid. These findings have important implications for hearing aid researchers. They suggest a need for caution when interpreting hearing aid trials which do not control for placebo effects. This is highly relevant to the UK National Health Service which currently spends around £60m/yr purchasing hearing aids. Our findings also have important implications for audiologists and hearing aid dispensers. It is likely that hearing aid users with positive expectations are more likely to experience benefit; therefore, the manipulation of expectations potentially offers an additional tool to maximize real benefit for audiology patients. Jack Ashley was President of Action on Hearing Loss, formerly the RNID, from 1987 when he succeeded Lord Chalfont. Losing his hearing in 1967 after an operation, in his two autobiographies Journey into silence (1973) and Acts of defiance (1992) Ashley describes how he came to be involved with the RNID. Helen Keller had recently died and there was talk of a joint Blind/Deaf fund in her memory. He hoped to bring the two groups together. The General Secretary at the Royal National Institute for the Deaf was helpful and anxious that the venture should succeed. But he did not seem optimistic and I did not press him to explain his reservations. When I went to the Royal National Institute for the Blind I understood his pessimism. The building was far more impressive than that of the Institute for the Deaf and it was much better staffed; although by no means lavish, it was clearly better endowed. The General Secretary was pleasant, brisk and willing to consider any initiatives and attend exploratory meetings for a joint fund; but whereas the officials for the deaf strongly supported my provisional plan, those of the blind were not notably enthusiastic. I later learned that the blind have charitable donations of some £2,000,000 a year compared with £20,000 for the deaf. With public generosity biased to this extent, I began to understand why the blind chose to avoid cooperating with the deaf. Ashley was approached by Air Vice-Marshal E.D.D. Dickson, Chairman of the RNID from 1960-1971, to go to Edinburgh and give the opening address at their biennial conference in October 1968. The invitation posed an interesting question. Was I to begin campaigning for deaf people now that I was myself deaf, and would this be seen as special pleading? […]I thought the best thing would be to try to help deaf people in much the same way as I would aim to help all others who were disabled. (Acts of defiance1992, p.176). Suffering from tinnitus, his memories of Edinburgh were dominated by “the shrieking and roaring in my head […] as they have on so many occasions since.” He had a warm reception, and spoke widely, including about his anger at attitudes to deafness in the public and media. The audience responded generously, and the media coverage was extensive. At Edinburgh, I struck a small blow for deaf people and passed another landmark in my own rehabilitation. The RNID, an old-established organisation, had an elderly feel when I first came into contact with it. After speaking at the Edinburgh conference in 1968, just after losing my hearing, my relationship with it was restricted to keeping in touch with its officers and speaking at occasional meetings. However, in 1986, with new leaders and a more demanding membership, it became more thrusting and effective. Its Chief Executive, Mike Whitlam, gathered together a team of professional directors, clarified its image and adopted a higher profile. […] He was supported by an energetic, intelligent Chairman, Winifred Tumin, the mother of two deaf daughters. […] I served for a while on its General Management Committee and then, in October 1987, I was elected President. He encouraged the government to make television companies to have a greater percentage of subtitles under the Broadcast Bill in 1990 than was originally intended (Acts of defiance 1992, p352-3). Having seen how it helped his mother, in 1973 he pressed Keith Joseph to give all deaf people a behind-the-ear hearing aid free of charge (Acts of defiance 1992, p345). Along with RNID representatives and the consultant and tinnitus expert Jonathan Hazell, he founded the British Tinnitus Association in a room at the House of Commons in November 1979 (Acts of defiance 1992, p.351). He tabled an Early Day Motion calling upon the Government to give official recognition to BSL and to remedy the shortage of fully trained interpreters (EDM 943). Sign Language. British Deaf News. 1991, Sep, 5. The common belief that an 18th-century statute debarred ‘deaf and dumb’ people from becoming MPs was refuted by the Lord Chancellor in a letter to Lord Ashley stating that there is “nothing in common law, customs of Parliament or statute preventing a deaf person from becoming an MP”. See Hear, 1995, Dec, 6. The All-Party Disablement Group is a Parliamentary group that was founded by Jack Ashley in 1969 and chaired by him for forty years . BABER, P. Never a backbench issue. Disability Now, 1998, Nov, 14. The Jack Ashley Millennium Awards for Young Deaf People (1999-2002). “By the end of the initiative’s three-year lifetime, 150 young deaf people had, between them, received £789,305 worth of awards.” Talk, 1999, 171, 6, and 172, 13; Talk, 2001, 182, 4. (Includes list of winners); Curtain comes down on Awards scheme. Talk, 2002, 189, 17; ‘Graduation’ ceremony honours UK’s finest. Talk, 2003, 191, 18-19. 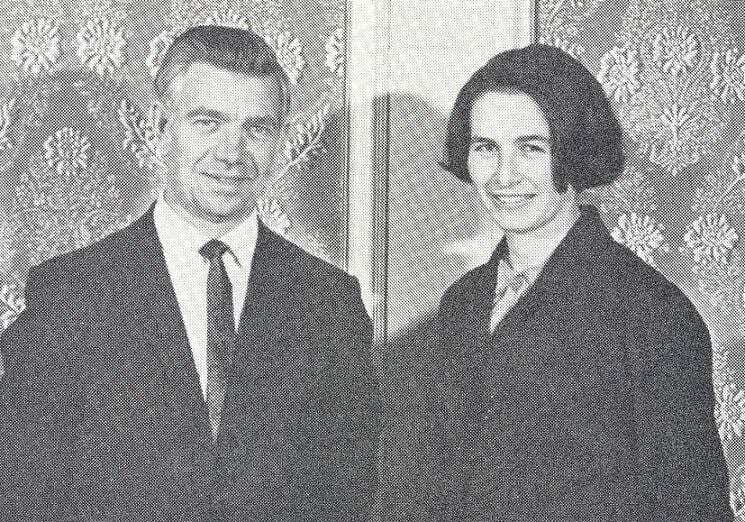 His wife Pauline, a governor at the Royal National Throat Nose and Ear Hospital, with the help from specialists at the hospital established the Hearing Research Trust to help fund research into deafness (now Deafness Research UK) in 1985. Jack Ashley became the President. The RNID and the Jules Thorne Charitable Trust had given funding to Graham Fraser, the pioneer of cochlear implants at UCL, for a programme of implants. 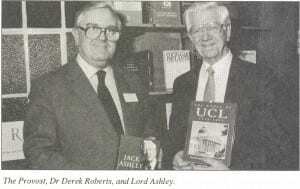 In 1989 Ashley took a deputation that included Fraser to see the Health Minister David Mellor, who then managed to get NHS funding for a four year funding of cochlear implants. City Lit in London’s Covent Garden are holding their annual Deaf Day on 14th of April. Deaf Day is the biggest event of its kind in the UK for anyone who is D/deaf or interested in D/deaf issues. No one who read the story of the Deaf child who was kept in slavery and physically and mentally abused can fail to be appalled by her plight. Deaf children are particularly vulnerable to abuse. Here is a selection of books and articles on the subject (there are many more), followed by a few recent articles from Medline. – The authors systematically review the special needs of deaf patients, particularly those who regard themselves as culturally Deaf, and provide professionals with the tools they require to meet those needs. MANNING S C, CASSELBRANT M, LAMMERS D. Otolaryngologic manifestations of child abuse. INTERNATIONAL JOURNAL OF PEDIATRIC OTORHINOLARYNGOLOGY, 1990, 20(1), 7‑16. 1. Clinical practice: The approach to the deaf or hard-of-hearing paediatric patient. Smeijers AS, Ens-Dokkum MH, van den Bogaerde B, Oudesluys-Murphy AM.
. 2011 Nov;170(11):1359-63. Epub 2011 Jul 16. 2. The lived experience of depression among culturally Deaf adults.
. 2010 Nov;17(9):783-9. doi: 10.1111/j.1365-2850.2010.01606.x. 3. Mental health referral and services for maltreated children and child protection evaluations of children with special needs: a national survey of hospital- and community-based medically oriented teams. Montoya LA, Giardino AP, Leventhal JM.
. 2010 Aug;34(8):593-601. Epub 2010 Jun 9. 4. Child abuse and deafness: an overview. 5. The nature of victimization among youths with hearing loss in substance abuse treatment. Ocean Noise Is A Whale Of A Stressor – Science News.